Another Budget Commander—Or Is It? Along with John Caradimas, owner and publisher of this on-line magazine, I am among a small but avid group of “1911 guys” who hold the opinion that the true, 4¼-inch Commander is the optimum form factor for a 1911 pistol. The full-size (5-inch) M1911 was designed by John Browning in response to military requirements, and it was intended for use as a combat pistol, to be worn in an exposed, flapped leather holster slung from a pistol belt. Concealment was not a consideration. Today, vast numbers of people, in the United States and elsewhere, own pistols for concealed (and, in some cases, open) carry for self defense. A full-size duty weapon like the M1911/M1911A1 can be worn for concealment and self defense … but it’s not the easiest chunk of metal to conceal. The Commander is enough smaller to make concealed carry a bit easier, yet still large enough to serve as a serious duty weapon if necessary while retaining the same manual of arms as the full-sized M1911A1. In recent years, firearms makers have recognized the trend toward smaller and lighter pistols and have responded with a dizzying array of ever-smaller pocket pistols. While it’s always encouraging to see a market respond to user needs, this review is not about featherweight pocket pistols. The Commander-size 1911 has many positive attributes, but being a pocket pistol is not one of them. And that was not the intent. The original Commander was introduced by Colt in 1949. It was designed as a response to a U.S. government search for a pistol for officers that was to be smaller and lighter than the M1911A1, and chambered in 9mm Parabellum. Colt submitted a shortened version of the M1911A1, using (for the first time by any major firearms manufacturer) an aluminum alloy receiver. Although the military did not adopt any of the competing pistols submitted for evaluation, Colt moved the new Commander model (as they called it) into regular production, selling it on the commercial market in 9mm Parabellum, .45 Automatic, and .38 Super chamberings. Two decades later, in 1970, Colt brought out an all-steel version they called the Combat Commander; the original, alloy-framed version was then designated as the Lightweight Commander. In all chamberings, the Colt 1911 Commander pistols had barrels with a length of 4¼ inches (108mm) compared to the M1911A1’s 5 inches (127mm), and a receiver dust cover slightly shortened compared to the M1911A1. The size of the grip frame and magazine remained the same as for the full-size M1911A1. The Colt Commander retained the removable barrel bushing system used on the M1911A1, with the barrel bushing reduced slightly in length. Being somewhat of a purist, I have never warmed up to these faux Commanders, preferring the original, Colt configuration (what I refer to as a “true” Commander). As a result, I am always interested to see how closely any new Commander-size pistol hews to the original design and function. 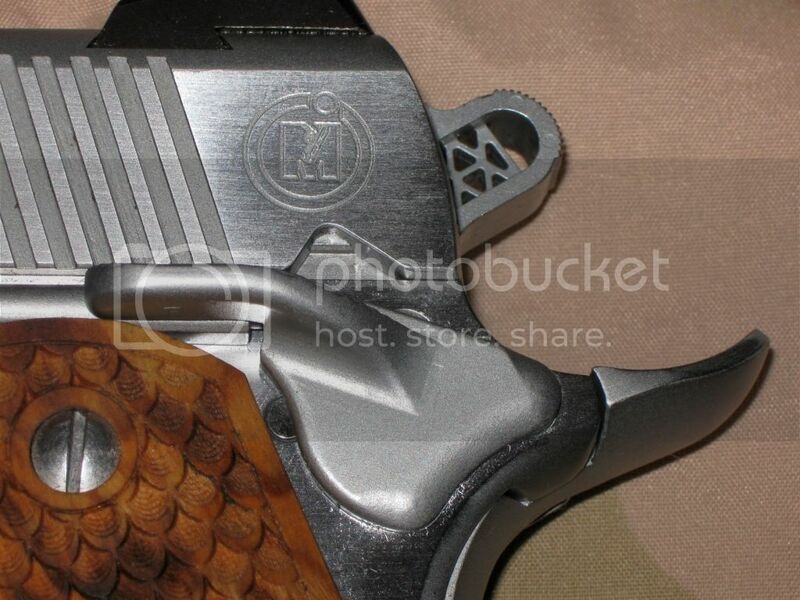 Consequently, when M1911.org became aware that Eagle Imports was offering a Commander (their name) made by Metro Arms under the American Classic brand name, I persuaded John Caradimas to contact Eagle Imports about a test pistol. Given John’s interest in the Commander, it didn’t require a lot of persuasion. A few months ago, then, a shiny new American Classic Commander, Model ACC45C, arrived at the range shop where I shoot. Metro Arms is a relative newcomer to the 1911 market, especially compared to other two major makers of 1911s from the Philippines. 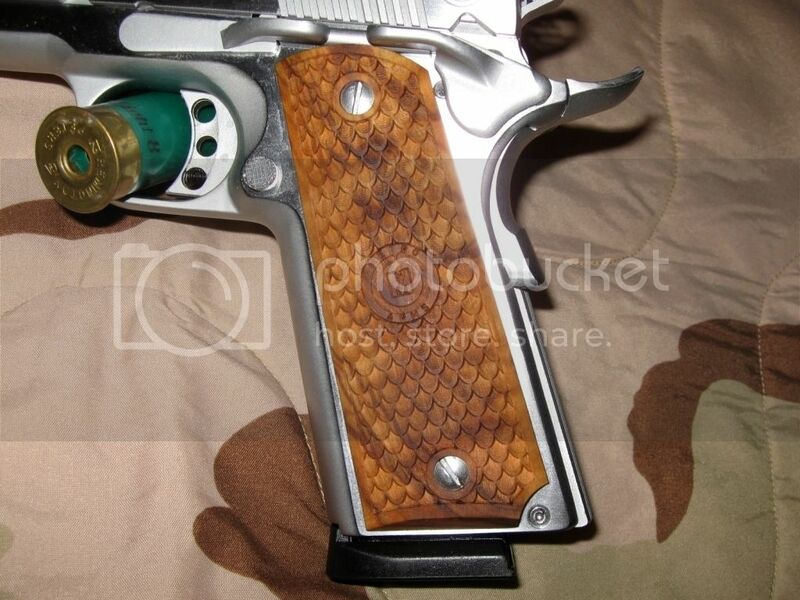 They introduced their first 1911 pistol to the U.S. market at the 2008 SHOT Show. 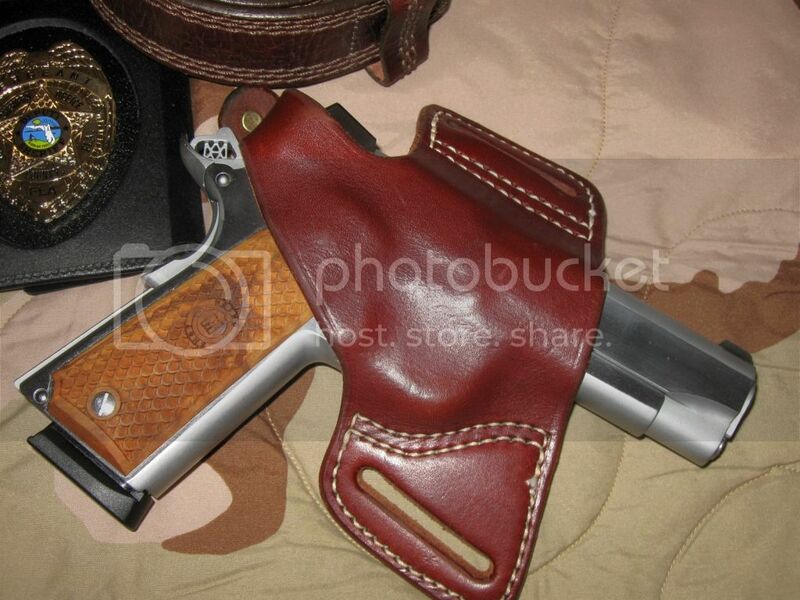 Eagle Imports had sold a near-clone of the 1911, manufactured by Llama in Spain, under their own Firestorm brand name. Eagle Imports took on Metro Arms after Llama went out of business. 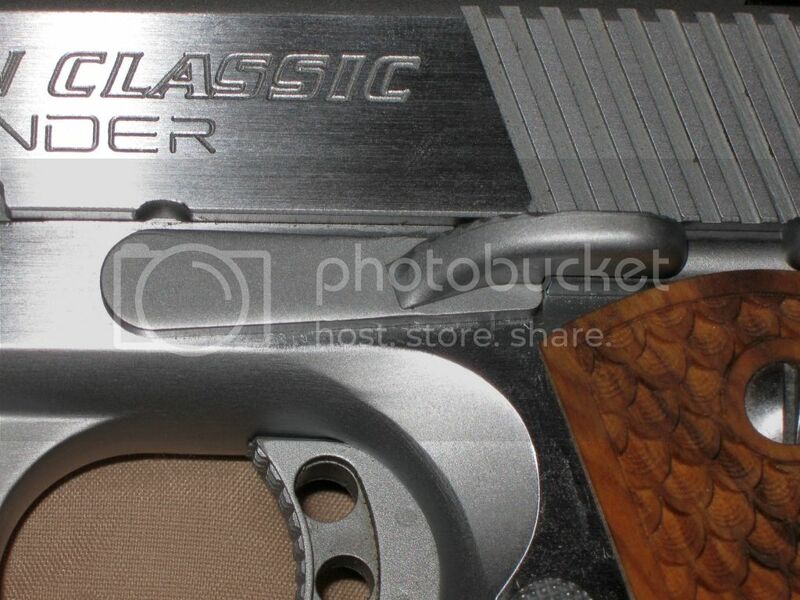 They originally transferred the Firestorm name to Metro Arms products, but they soon changed the brand name to American Classic. 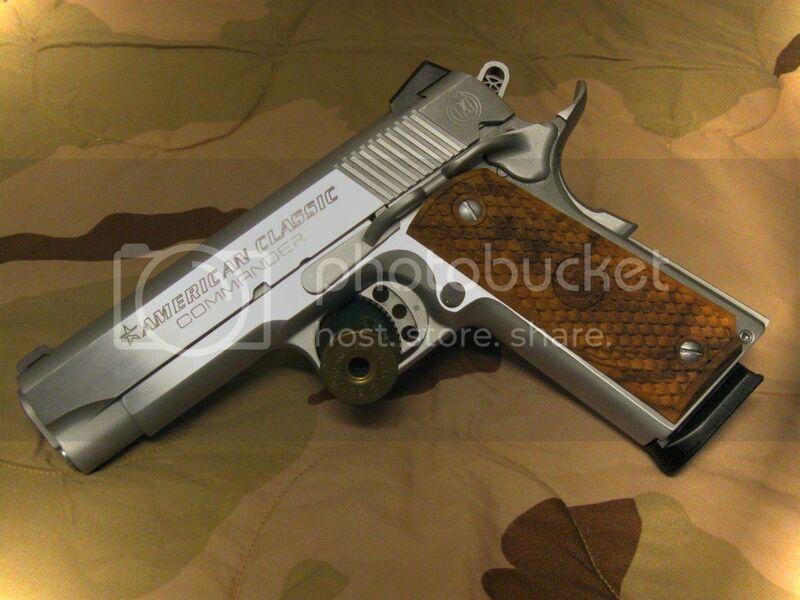 The American Classic Commander is available in .45 ACP and 9mm Parabellum. Finish choices are blued, hard chrome, and duo-tone. (The 9mm is available in blue only.) The lineup also includes a Compact Commander (in .45 ACP only), which is CCO-size pistol (4¼” slide and barrel on Officers ACP size receiver). All American Classic firearms sold through Eagle Imports come with a limited lifetime warranty (to the original owner). Our test pistol was the regular Commander model, not the Compact, in .45 ACP and with the hard chrome finish. It’s a beautiful pistol. 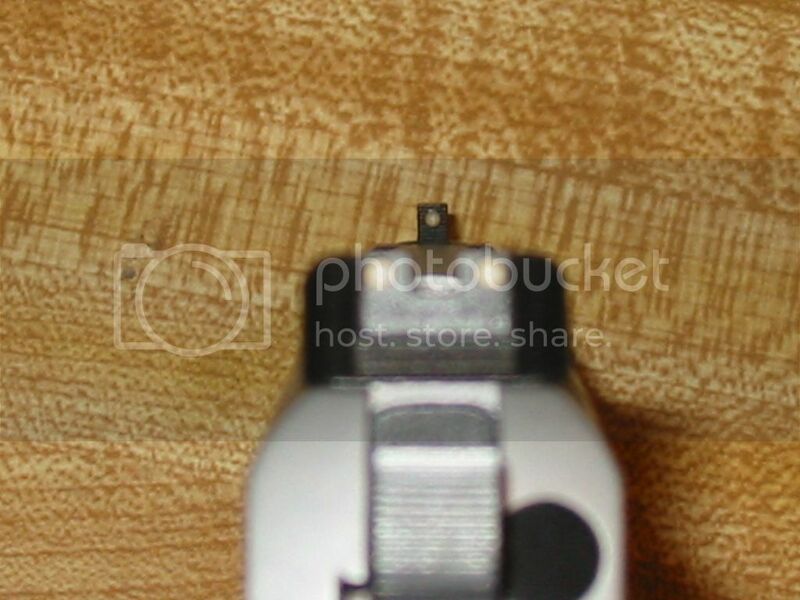 Both front and rear sights are white dot type, set in dovetails. The rear sight is wedge-shaped, modeled after the style popularized by Novak®. The front sight is a conventional, upright blade, wide enough to display the white dot and to pick up easily. 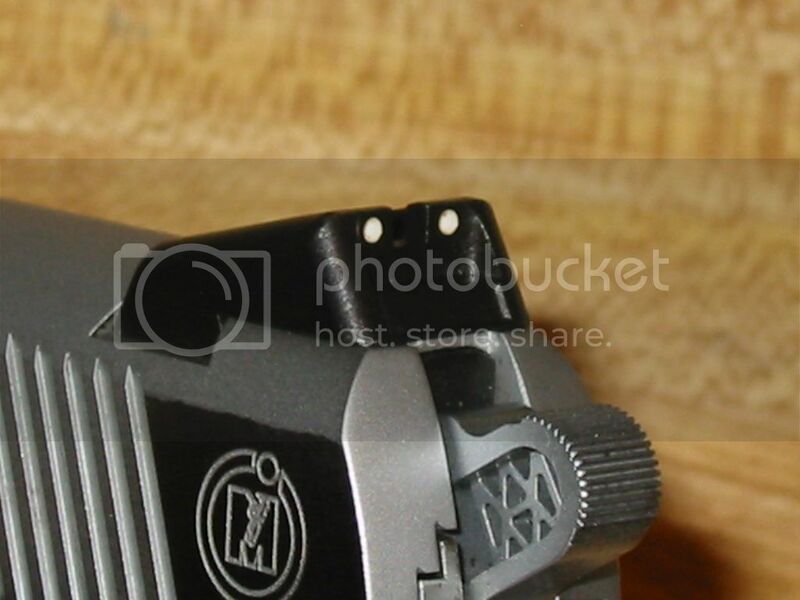 The notch in the rear sight is wide enough to allow sufficient daylight on each side of the front sight blade to be able to see visually when the sights are centered and aligned without squinting. 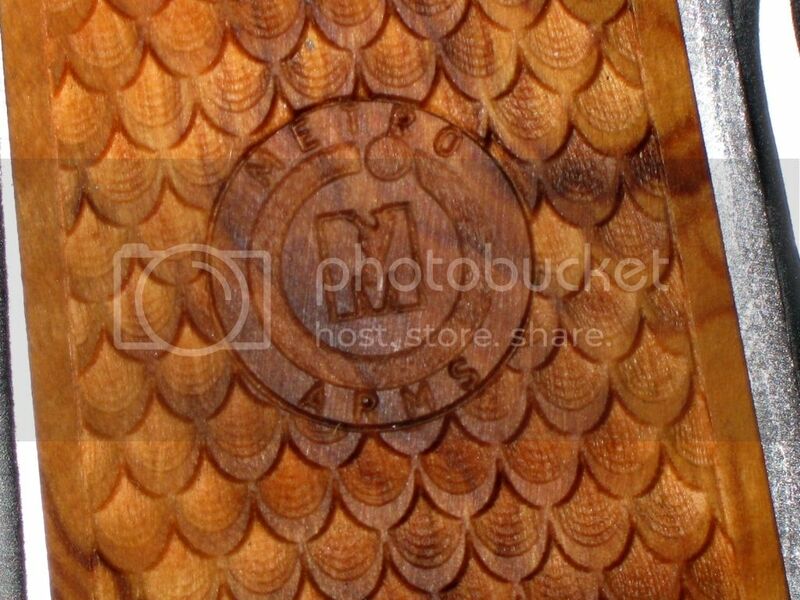 The grips are some species of wood, and nicely textured in a pattern somewhat like snake skin. The fit of the grips to the frame was good. We were surprised to see that back side of the right side grip panel was relieved to allow for the installation of an ambidextrous thumb safety. That’s a thoughtful touch that many manufacturers overlook. We were also pleased to note that the grip screws had conventional, slotted heads. While hex socket or Torx socket head screws look nice, they aren’t practical on a pistol that will be carried regularly. It’s impossible to predict when, where and why someone might need to remove a grip panel, and Murphy’s Law dictates that such a need will always arise where there are no tools available to fit recessed, socket head screws. Other exterior features that many prospective buyers will find attractive are an extended thumb safety, an extended slide stop, and a beavertail grip safety with palm swell. The included ACT magazine has a capacity of eight rounds and is equipped with an extended, polymer base pad. The trigger shoe is aluminum, drilled with three holes and then milled out along the axis of the three holes to remove further metal. In this reviewer’s opinion, this additional milling out is a waste of energy and resources. 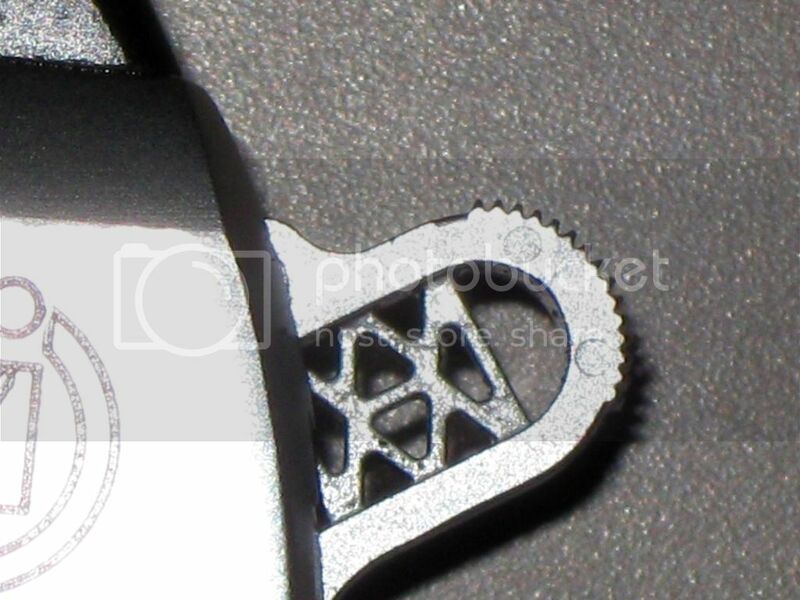 The machining of the trigger pad is clean and sharp … but it’s too sharp. The sharp edges and serrations cut into the trigger finger; we found that the trigger became an irritant after an extended period of shooting. 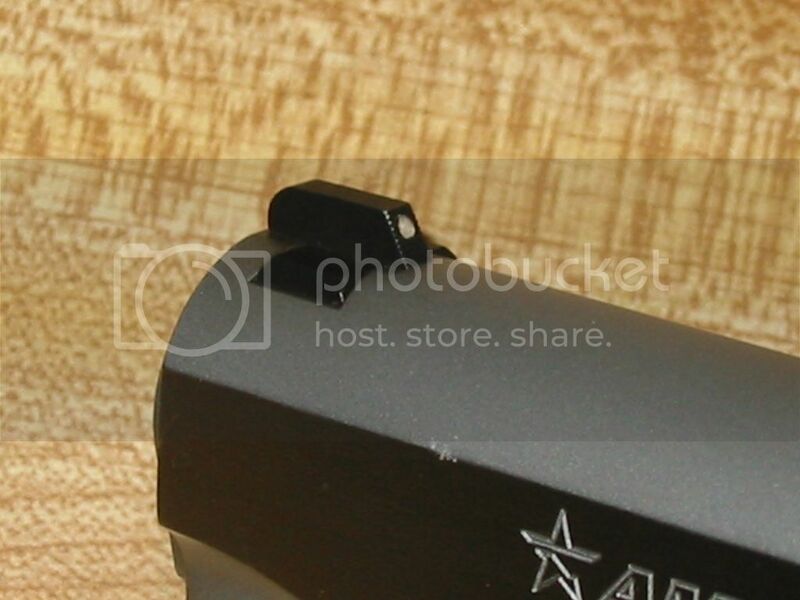 The trigger is equipped with an overtravel adjustment screw. 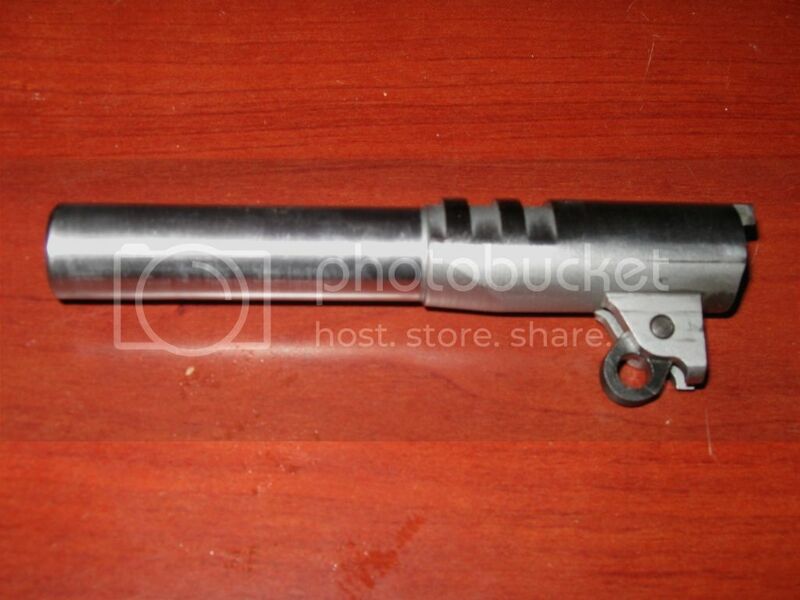 The recoil assembly is conventional 1911, with a barrel bushing and a short, full diameter recoil spring guide rod. 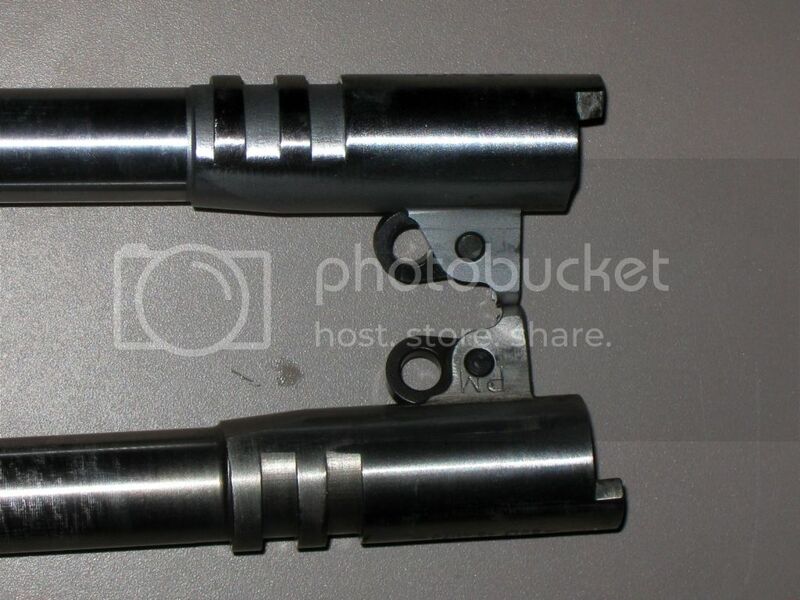 The barrel bushing was tightly fitted; we were able to rotate it partially by hand, without tools, but it required a bushing wrench to actually take down the pistol. 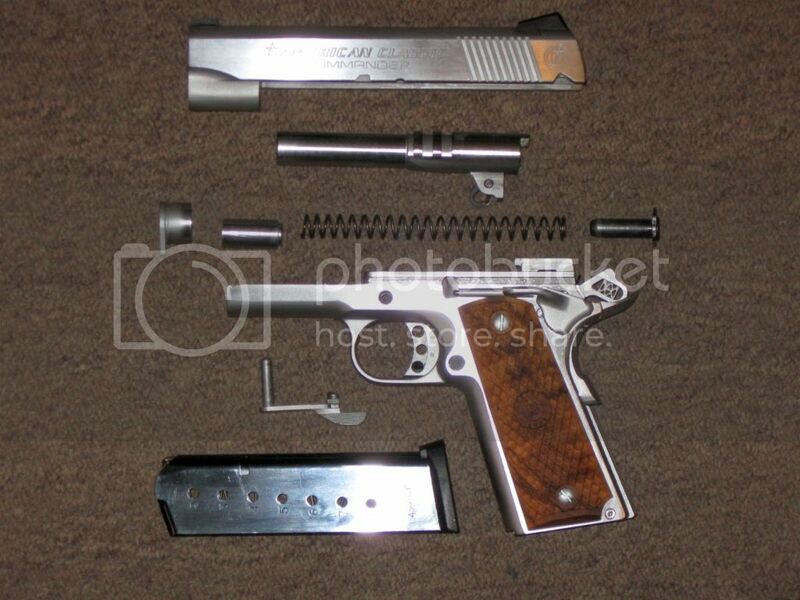 Removing the slide confirmed that the pistol did not have a firing pin safety mechanism. Behind the recoil assembly, we were initially surprised to see that the shape of the barrel underlugs mirrored that of barrels in standard, Government model pistols. This observation led to some additional investigations the result of which was the realization that, while the same overall length as a true Commander, the American Classic Commander is not built on a Commander receiver. 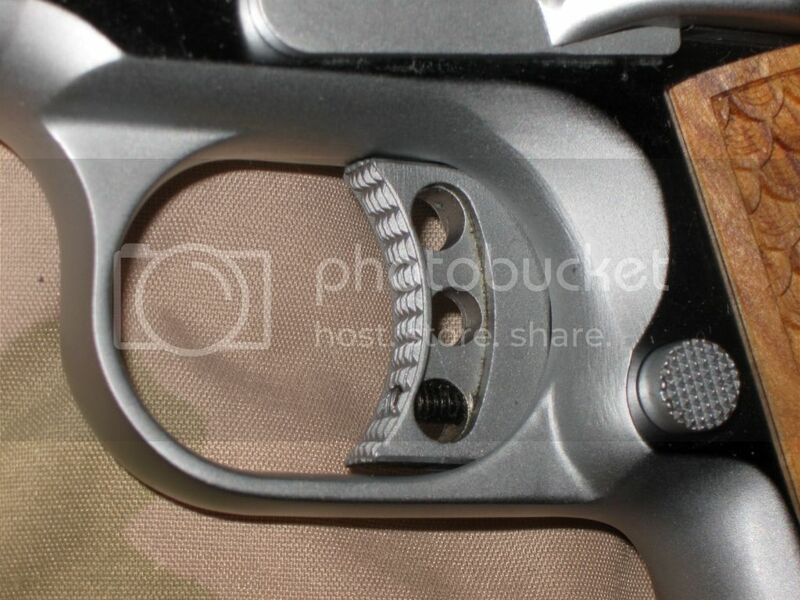 Some readers may already be aware that Colt Commanders and all true clones are built on receivers that have the forward ends of the frame rails and the frame abutment (the surface against which the flange of the recoil spring guide rests) moved back a distance of approximately one-tenth of an inch compared to a Government Model, and the forward end of the receiver dust cover is likewise shortened. This was not the case with the American Classic Commander. The frame was identical to a standard Government model frame in all critical dimensions. 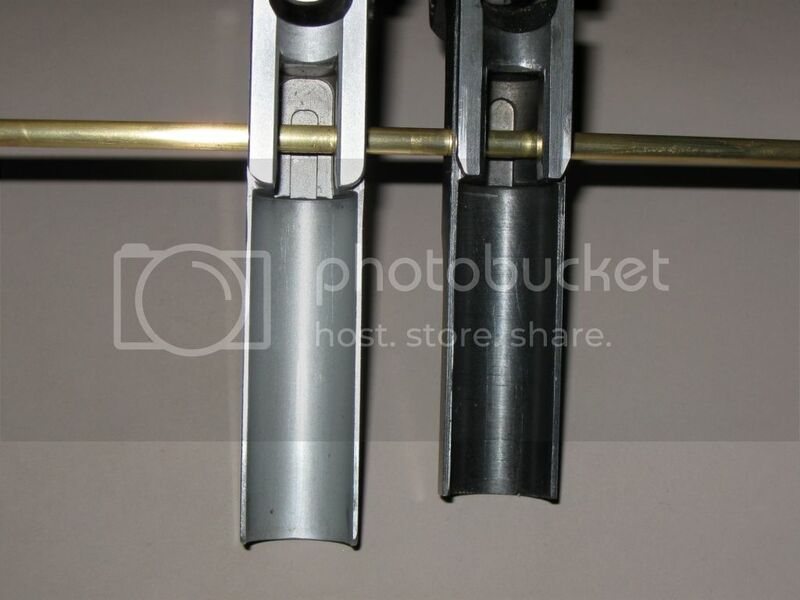 The upper profile of the barrel is also different from the typical Commander barrels. See how the area in front of the first locking lug is? That's how the Government barrels are, the lower barrel is a Commander one. And here is a comparison of the frames. Colt Commander on right, American Classic Commander on left. Note position of frame rails and frame abutment. We have read in multiple sources that it is possible to build a Commander length pistol on a full-size receiver, but that it’s difficult to make such a pistol function reliably. Consequently, we were more than a little curious to see what we might encounter in shooting the pistol. Our first range session with the American Classic Commander was devoted to plinking, for familiarization. The pistol functioned acceptably during this initial session. We found the trigger pull to be about “right” by feel. We did measure the trigger pull with an RCBS analog trigger pull scale; unfortunately, that page of notes seems to have gone walkabout, and we don’t remember what the measurement was. Offsetting the issue of pull weight, we found that the trigger had a bit of creep after initial takeup, as well as a slightly gritty feel. These weren’t especially noticeable when handling the pistol on the bench, or when engaging in casual shooting. However, when we settled down to shoot for accuracy, we found the creep and grittiness to be mildly distracting. It’s possible that both will disappear after a few hundred more rounds have been fired. The second range session was for accuracy testing. In keeping with the M1911.org protocol, shooting for accuracy was conducted at a distance of 25 yards (75 feet) (23 meters), from a sitting position over a rest at the shooting bench. We were indoors, so wind was not a factor. We fired multiple five-shot groups, and for each group we discarded the hole farthest from the group. As commented above, we encountered no malfunctions during the first range session. During our accuracy testing, we did encounter a few random issues. We were shooting five-shot groups, so the magazine was loaded with five rounds for each group. We encountered three instances in which the slide failed to lock back when the magazine was empty. The three instances were with different types and brands of ammunition, so we do not think the issue was ammunition related. 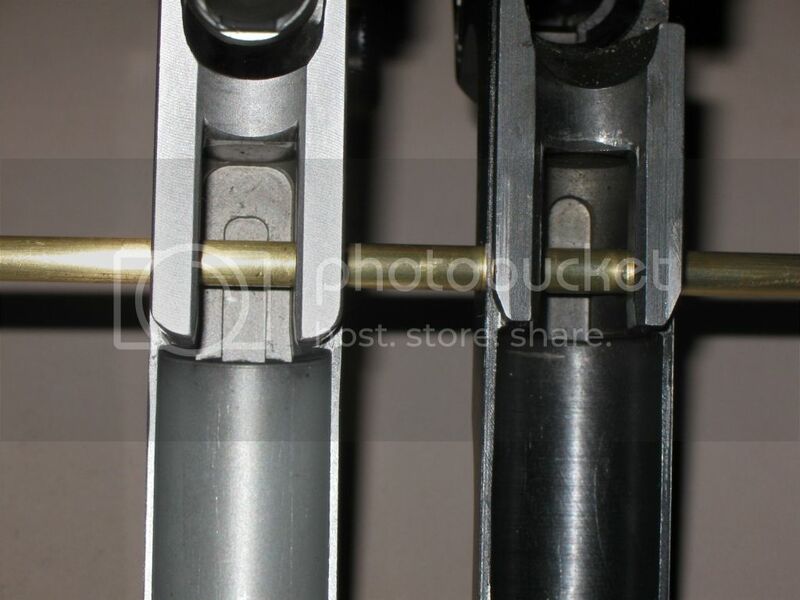 The second issue we encountered was that on approximately half the magazines fired during the accuracy portion of our testing, the last round fired out of the magazine created a stovepipe jam when extracted. Again, this was not dependent on the ammunition, and it was always the last round in the magazine. After we had completed the accuracy portion of the testing, we went back to off-hand shooting at a distance of 25 feet (not yards) just to get a better feel for the pistol. During the off-hand shooting we didn’t encounter either the stovepipe jams or failure to lock the slide open on empty. Our non-rigorous analysis of all this is that there must have been something about the way the pistol was being held when fired off the bench that was different enough from the way it was held when shooting off-hand to affect function. This pistol left me with mixed feelings. While it externally is of Commander dimensions, it is just not a Commander. It is a Government pistol with a shorter barrel and slide. And that's a disappointment to those of us who like the Commander versions of the 1911. 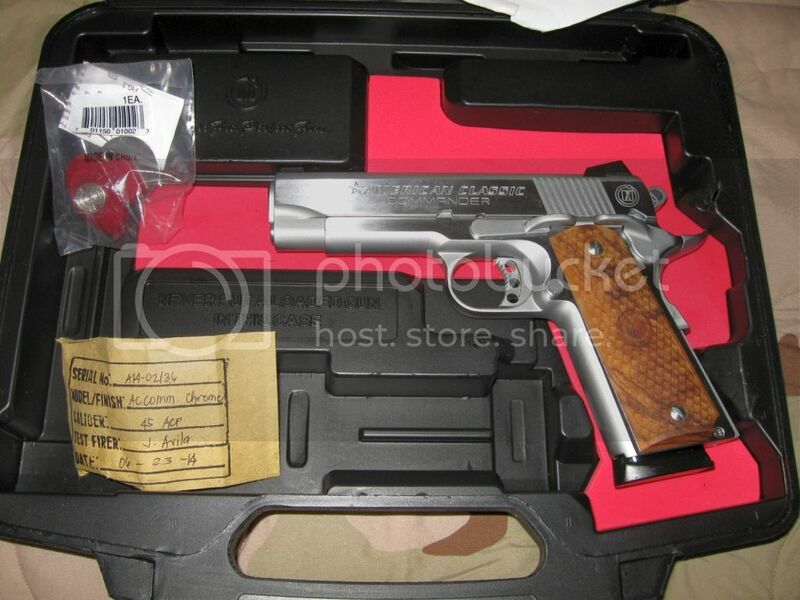 First, special thanks to Eagle Imports for making the pistol available to us for review. As always, we are especially grateful to Chris Dogolo, Mike Rubino, Charlie Baker, and Gary Gara at Chris’ Indoor Shooting Range for their assistance and cooperation in allowing us the use of the range for testing.